Privacy. It’s all the rage now. Let’s see if we can’t get a little more of it. I’m a fan of a properly configured VPN; emphasis on “properly configured”. Encrypting your traffic is one of the basic things you can do to keep your data safe, especially when connected to public hotspots. While rolling your own VPN is my personal preference, some would rather just throw their credit card information at a VPN provider and be done with it. But, as of this post’s writing (16 Jan 2018), you can get a VPN account from Private Internet Access without surrendering your credit card or email information; it just takes a little extra work. 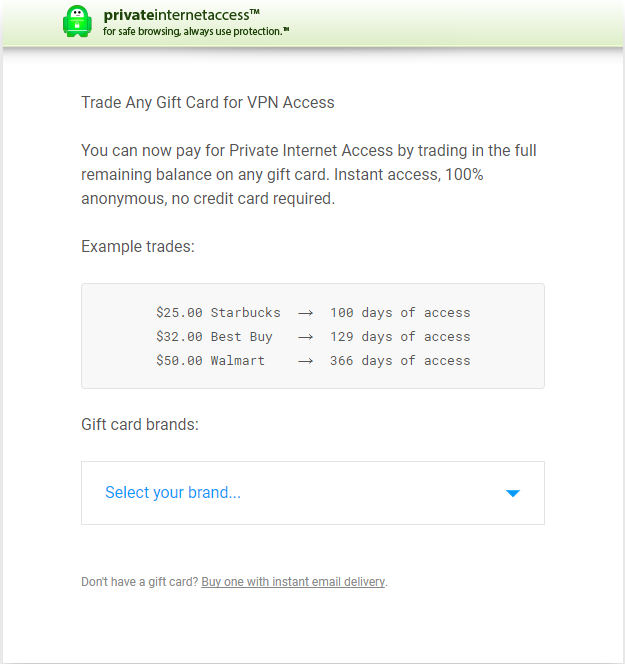 PIA offers VPN service in exchange for certain store-branded gift cards. Super helpful when you don’t want to have your Credit Card info stored on yet another website. However, you still have to give up an email address to get your login data. That’s where Mailinator comes in. 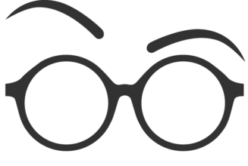 Mailinator is a publicly-available, receive-only, disposable email service. We’re gonna have PIA send your VPN credentials to a mailinator mailbox, adding a layer of separation between you and PIA. Register that card using the same link. If there is mail in the mailbox, back out and and more words until there’s no mail whatsoever. Speed is key here. Give PIA that email address and submit. Keep an eye out for 3 emails within your mailinator mailbox, all from PIA. Quickly copy the username and password information submitted then delete the emails. (these mailboxes are pubic, the less time the email is available the better). Download the PIA application for your selected platform. Plug in the username and password and connect. Boom! You have a VPN and you submitted no personal information whatsoever! One caveat is that I don’t believe you can do this enmasse. One or two accounts a day seems to work, but doing several accounts in a short span seems to trigger their fraud prevention.